The accredited American Chestnut Land Trust is remaking its “community supported agriculture” farm into an “agriculture supporting community” farm. Rather than selling CSA shares, the land trust will donate the majority of the farm’s produce to local food pantries. 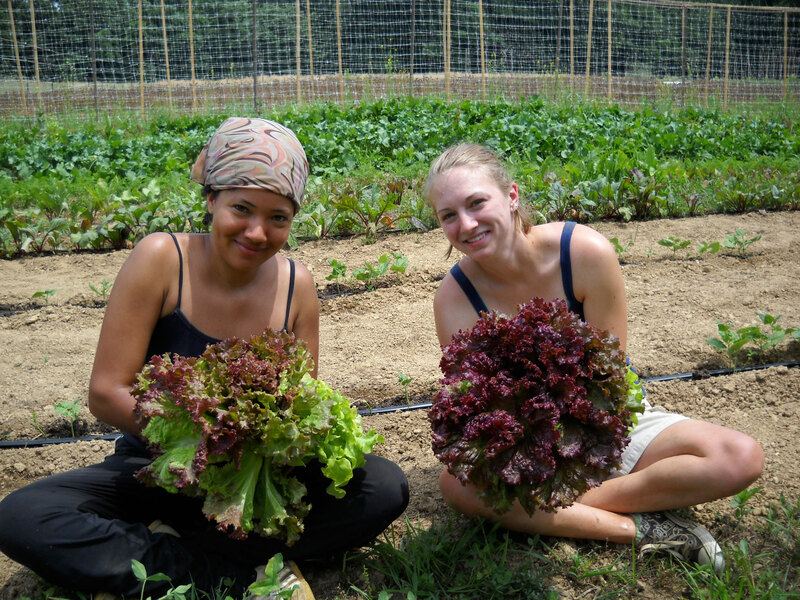 Farming 4 Hunger, a nonprofit dedicated to feeding the hungry in Southern Maryland with fresh produce, helped inspire the change and provide connections for the effort. The change occurred after a challenging season for the CSA, which struggled with farm manager turnover and a hiccup in production, says land trust Executive Director Karen Edgecombe. The Double Oak Farm is nearly entirely operated by volunteers, and they were enthusiastic about the idea of raising produce for those in need, Edgecombe adds, noting that even more volunteers have expressed interest in helping with the charitable food production. “It came from the ground up that people wanted to do something about feeding the hungry,” she says. The land trust expects to raise enough food for 40 families a week.